Wedding dresses, bridesmaid dresses, flower girl dresses, mother of the bride dresses, special occasion dresses (such as prom dresses, graduation dresses etc. 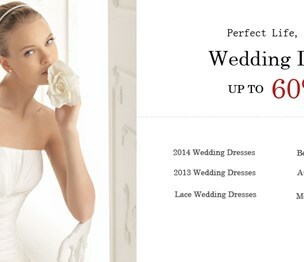 ), wedding accessories and so on. It is all what we're pursuing to satisfy your needs and to offer you quality items. Our friendly and helpful bridal specialists and the whole 58eveningdress team will assist you in making your dreaming wedding come true. You can rest assured that all orders will be processed & shipped in time. It is at lovely price! I use them in future and will trust them. Install a QR code reading app on your smartphone to scan and convert it to 58eveningdress contact information. According to our records, this business is located at 939 W 5th Ave. in Anchorage (in Anchorage County), Alaska 99518, the location GPS coordinates are: 61.2179898 (latitude), -149.9007481 (longitude). 58eveningdress is categorized under Lingerie (SIC code 5621). Known organization 58evendingdress is 58evendingdress. You can contact the company by phone at (574) 907-3751; the following fax number is also provided: (574) 907-3751. Business website can be accessed at http://58eveningdress.com. Open from 12:00 am until 11:00 pm (Monday - Sunday).